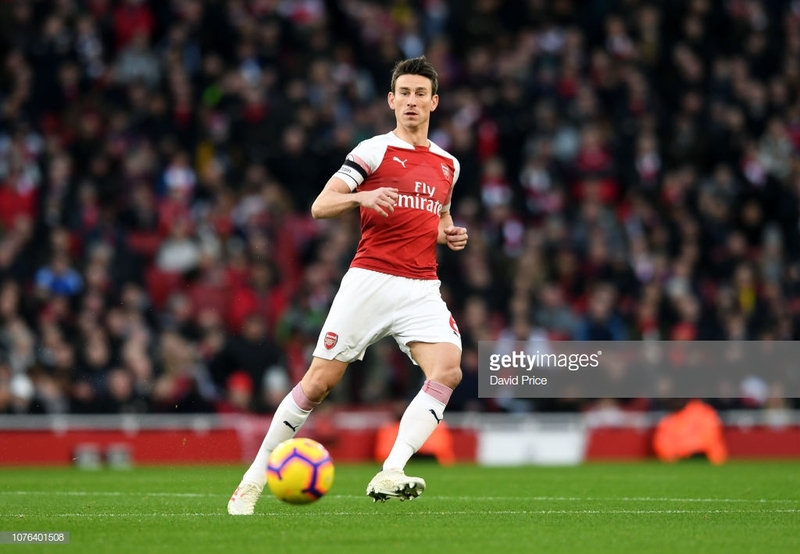 Opinion: Can Laurent Koscielny return to his previous best? Arsenal captain Koscielny has recently returned to the first-team after a long-term injury. Can he reach the heights of his performances of old and stabilise the Gunners' backline? In May last year Arsene Wenger was preparing his side for a vital semi-final Europa League second leg tie away to Atletico Madrid, with the aggregate score at 1–1, despite the Gunners dominating the first leg at the Emirates. However, only 12 minutes into the return fixture Koscielny crumpled to the floor in an off-the-ball incident, to the heartbreak of Gunners supporters watching all over the world. The captain was replaced by Calum Chambers and Arsenal’s European dream ended due to a goal from former nemesis Diego Costa, denying the club a Champions League berth for next season and Wenger’s final chance of silverware. A recurring Achilles problem came back to haunt Koscielny and he was emotionally ruled out of France’s successful World Cup campaign in Russia, who of course went on to defeat Croatia 4-2 in the final. After a long-term injury lay-off, Koscielny made his eagerly awaited return against Qarabag in the same competition with a typically assured performance. However, with the centre-back reaching the latter stages of his career and injury worries constantly looming over him, can he return back to his best? Since signing from Lorient in 2010, Koscielny has undoubtedly proved to be one of the top centre-backs in the league, despite an initial shaky start. Under Wenger, the Frenchman quickly developed to become an integral part of the back four that has led to 3 FA Cup’s during his time in England. However, this hasn’t come without a series of injury problems that have often left the centre half out for prolonged periods of time. It is no surprise to see that Arsenal perform much better with their star defender in the team compared to without. This season, Unai Emery has often reverted to a three at the back system, predominantly featuring Shkodran Mustafi, Sokratis Papastathopoulos and Rob Holding. The return of Koscielny is immaculate timing after Holding was ruled out for the rest of the season last month against Manchester United and with Mustafi suffering from a hamstring complaint in the win over Fulham. Although Koscielny missed the 3-0 FA Cup victory over Blackpool, boss Emery is hopeful the 33-year-old will be fit again for this Saturday’s away trip to West Ham, where he would most likely start if available for selection. Due to injuries, Emery has often had to play a back four, or include full-backs as part of the back three, in particular, the experienced Stephan Lichtsteiner who has looked uneasy in the role, and even midfielder Granit Xhaka in the 2-0 defeat of Spurs in the League Cup. Since Koscielny’s return against Qarabag, where he kept a clean sheet, he has failed to keep one since against Southampton, Brighton, Tottenham and Liverpool (where he appeared as a substitute) and Fulham. There is no doubt that Koscielny was a formidable force; tough-tackling, fast and comfortable on the ball, which we have seen has become a trait for many of the best in the world, most notably Liverpool’s Virgil Van Dijk. But time is not on his side. The number 6’s peak years have arguably been and gone, losing him that extra edge of pace he could always rely on in tricky situations. In Holding, Emery has helped mould a confident centre-back who has thoroughly blossomed into a mainstay in the team for years to come, replacing Koscielny as that player. But with him out for the season and Mustafi struggling with niggles and form, it is vital that Koscielny increases his performance levels and rediscovers his form before his injury if Arsenal are to end their two-year absence from the Champions League.